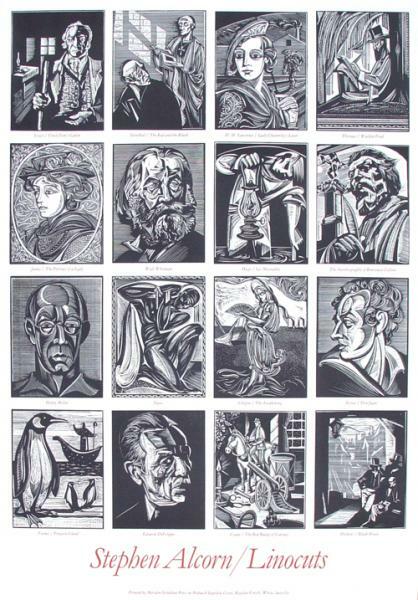 For many years, Stephen Alcorn's masterful woodcut prints have graced Battenkill Books. Now, thanks to a partnership with Sabina and Stephen Alcorn, we are now able to offer a limited number of prints and posters from the Alcorn Gallery for sale. Please click on the items below for a larger image and additional information.